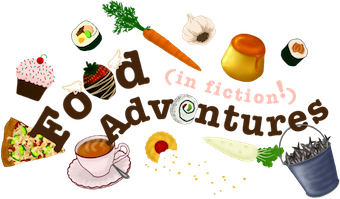 Book Adventures: (MG) Time Snatchers by Richard Ungar, Interview, Recipe, & Giveaway! (MG) Time Snatchers by Richard Ungar, Interview, Recipe, & Giveaway! My first 2013 read was Time Snatchers by Richard Ungar, released March 2012 through Putnam (Penguin). It's a fun middle-grade time-travel adventure! 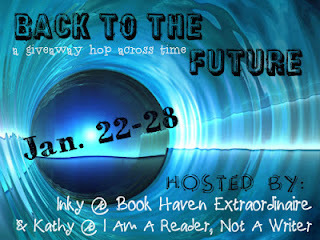 Perfect for the Back to the Future hop hosted by I Am A Reader, Not A Writer & Book Haven Extraordinaire! For this giveaway Richard Ungar has graciously agreed to send one lucky winner an autographed hardcover copy of Time Snatchers with a cool Time Snatchers bookmark! You can enter via the Rafflecopter form at the end of this post. Click on the hop image above to visit the other participating blogs. Richard lives in Canada and is not only an author, but also a lawyer and an artist! He works mostly in watercolor, with colored pencils, charcoals, and other media occasionally thrown in. You can view some of his work here. In fact, with the exception of Time Snatchers, his middle-grade debut (which has no illustrations aside from the cover), Richard has done all of the illustrations for his other books! They include the Rachel books, which is currently a three title series, and the stand-alone, Even Higher. Concerning Time Snatchers though, he did draw some concept sketches which you can view here. Speaking of the art of Time Snatchers, the cover was done by Owen Richardson who lives here in Utah! Owen also did covers for Artemis Fowl (the newer editions), the Young Bond series #5, The 13th Reality series (paperback editions), Daniel X #2-5, both Troubletwisters, Icefall, The Fourth Nephite, plus many other middle-grade/YA titles and then a ton of stuff besides. I always think it's fun to discover an artist from the book jacket and then connect them with other titles you're familiar with, and it's even more exciting to learn that he's local. Owen is also the production artist at Eat, Sleep, Play, Inc. and a part-time director at The Salt Lake Children's Theater. The year is 2061, and Caleb’s world is crashing down around him. The small group of orphans who were also “adopted” by Uncle used to feel like family, but both the competition to be the top time snatcher and the punishment for failure have gotten fierce. Time traveling to steal priceless objects can be a thrill, but with bully Frank trying to steal his snatches, his partner Abbie falling for Frank’s slimy charms, and Uncle planning to kidnap innocent kids to grow his business, Caleb starts thinking about getting out. But there is no place on earth, past or present, that is safe from Uncle’s tentacles, and runaways get the harshest punishment of all. Will Caleb risk everything to fight for the future he dreams about? Read a sample of Time Snatchers! Time Snatchers was just the right read for me at the time--you know how you go through phases concerning what you're in the mood for. I wasn't in the mood for YA drama and love triangles or anything too intense, so this middle-grade, time-travel adventure hit the spot nicely. There is a slight love triangle, but it's not all gooey or anything like that. I mean, the characters are thirteen years old. It's budding emotions. Aside from that, the themes of belonging and the desire for a family--or at least a semblance of one--and deciding who you are and what you really want, are prevalent throughout the book. The story could have been a little tighter in the plot and character departments, and there were some inconsistencies, but that's most likely not something an 8-13 year-old reader would think about. The overall story idea was compelling and as I was reading, I wanted to know what happened to the characters; what times and places they'd visit and what adventures they'd have there. 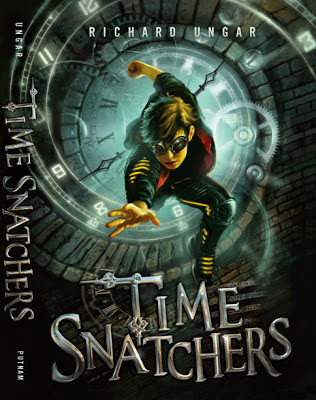 Time Snatchers is a good, action adventure, science fantasy for middle grade readers, especially boys. (And yes, science fantasy is a real sub genre--time-travel is considered a fantasy element because our science says it's not possible. You should read the definition, it's very interesting.) As Richard states below in the interview, he's currently working on book 2. Since finishing book 1, my mind has strayed back to it many times, so I'm definitely looking forward to the sequel! EDIT: Here's my review of the sequel, Time Trapped! ∞ What was the inspiration for Time Snatchers? Time Snatchers evolved from a writing exercise that I did during a George Brown College Writing for Children course that I began taking in 1999. The exercise was to write a story based on one of the images in Chris Van Allsburg’s picture book, “The Mysteries of Harris Burdick”. I chose the picture called “Another Place, Another Time” showing a group of boys riding a sail-propelled handcar along a railway track that seemed to go on forever. I just knew when I saw the image that I wanted to write a story about time travel. The interesting thing was that it wasn't immediately obvious to me that it was going to be a novel. At first I thought picture book and then short story... and was finally convinced by the other members of the class to keep going and write a novel. As it turned out the novel I wrote never saw it's way into print... but I decided to start all over again (still with a time travel theme) and that manuscript became Time Snatchers. ∞ While doing research for the book, what was the most interesting piece of information you found? That's a great question. There were a lot of interesting historical tidbits that I found. One of the most interesting ones was the origin of the Frisbee and that the idea came from a spinning pie tin. Another one was discovering that the artists during the Ming Dynasty in China did not work alone in studios... they actually worked in state-run artisan cooperatives churning out the most amazing Ming vases. The scenes at Expo 67 in Montreal were fun to research because I had actually been there as a kid. I was able to find an old video on YouTube of people riding the same ride at La Ronde that I had rode when I was 9 years old and that I had Caleb (the main character in Time Snatchers) ride. ∞ There are several mentions of yummy food in the story. If you could pair a recipe with Time Snatchers what would it be? Definitely has to be the New Beijing Dragon Dog... a hot dog with asian slaw, wasabi mayo, teriyaki sauce, and seaweed. Has the right mix of speed and great taste. ∞ Will there be any more books with Caleb or books set in the world of the Time Snatchers? Yes, I'm happy to say that I'm busy working on the sequel to Time Snatchers, which I'm hoping will be published in the fall of 2013. I'm quite excited about it. There will also be a German edition of Time Snatchers that will be published this year, which is very cool. 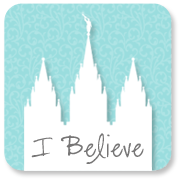 ∞ Are you currently working on any other youth novels or picture books? I have some ideas for other picture books as well as a middle grade novel but right now my focus has been on Time Snatchers and the sequel. I enjoy doing picture books because I love to paint.... so I do see myself going back and doing another picture book at some point. So many different foods are mentioned in Time Snatchers--I love it! 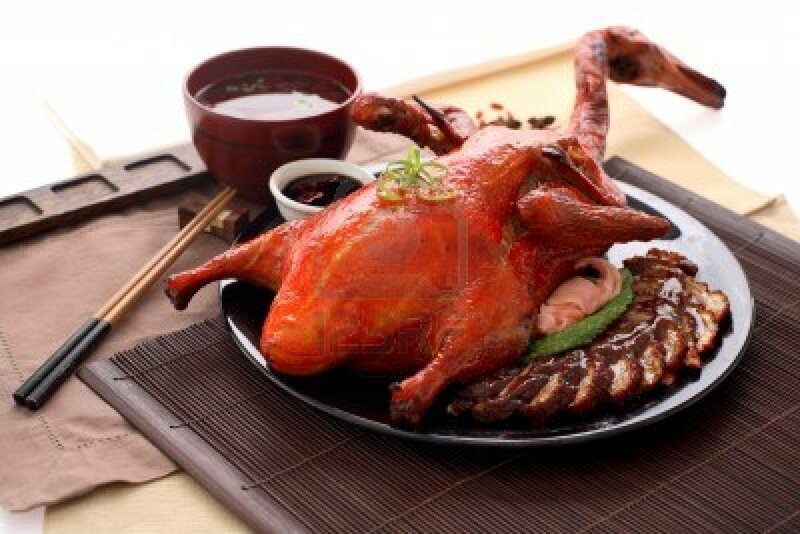 Peking duck (right) with a plate of cucumbers and a bowl of sauce (perhaps hoisin or tian mian jiang--sweet bean sauce), vegetables and noodles (three or four kinds of vegetables & lots of pasta sauce--dubbed "Peking pasta" by the main character), ice cream, tea, waffles, pancakes, kumis/airag (horse milk), and a horrible incident with a jelly bean. Concerning the "New Beijing Dragon Dog" mentioned in the interview as the perfect food pairing for Time Snatchers, Richard said, "the source is Doggy-Style Hot Dogs in Alameda California. They offer a hot dog called the 'Doggyzilla' that contains the ingredients I recited in what I called the 'New Beijing Dragon Dog'." Click here for my recipe for the "New Beijing Dragon Dog"! autographed, hardcover copy of Time Snatchers by Richard Ungar + a special bookmark! Richard will even personalize the book for you if you'd like! I would visit Italy during the Renaissance. I would go back in time to when I was around 15yrs.old. Because there are quite a few things that I would love to change. And hopefully those changes would make my life a whole lot better. 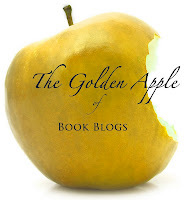 Thank you for being a part of this fun and awesome blog hop!! I would go back to when I was a young kid so I could spend a little more time with my grandparents. I think it would be fun in some ways to go to England during the regency period. I think of all these other times that are amazing or I'd want to meet certain people, but then I think that I wouldn't really want to live then without all of today's conveniences and there was a lot of death and sickness. Thanks for the giveaway! This book looks fantastic! I would go back just 15-18 years to chance a few things. I think the future would scare me to much so I'd say the past some time. I want to see what happens next. Do we ever achieve peace? How about teleportation? I would go to the Wild Wild West! To the Renaissance in England. I would go to the Regency era! i would go to the past. probably visit a lot of areas. i would love to see new zealand at it's earliest period! I would travel forward and see what Earth is like in the future! Thanks for this amazing giveaway - I would love to win! I would go sometime int he future (50/60 years from now?). If possibly, I'd like to go all over, but if not, I wouldn't mind sticking around in the US. I'd go back to Colonial Williamsburg. I'd go to the past and meet Jesus! I would like to travel about 75 years into the future to see what the world was like. I can't think of just one place or time. I would like to visit all different time periods past and future. That would be so fun! Thanks for the awesome giveaway! This book sounds like lots of fun!